An AmeriCorps National Civilian Community Corps (NCCC) team, known as Blue One, is in town assisting with local watershed protection and restoration. The team, consisting of seven members ages 18-24, is lending a hand to Point Blue Conservation Science from April 1st until May 22nd. Point Blue Conservation Science is a local nonprofit which serves the community through ecologically friendly and socially conscious wildlife and habitat conservation. The organization’s STRAW program – Students & Teachers Restoring a Watershed- gives participants a hands-on learning experience with ecosystem restoration, while also promoting environmental stewardship amongst its members. Blue One is assisting Point Blue with the planting of native vegetation – over 1,700 plants in total – as well as installing an in-ground irrigation system at the Tolay Creek watershed. This work is helping to restore the natural ecosystem and encourage native birds and wildlife to repopulate to historical averages. 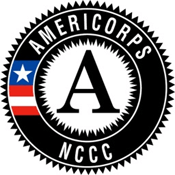 The AmeriCorps National Civilian Community Corps (NCCC) and its FEMA Corps units engage 2,800 young Americans in a full-time, 10-month commitment to service each year. AmeriCorps NCCC members address critical needs related to natural and other disasters, infrastructure improvement, environmental stewardship and conservation, and urban and rural development; FEMA Corps members are solely dedicated to disaster preparedness, mitigation, response and recovery work. The programs are administered by the Corporation for National and Community Service (CNCS). CNCS is the federal agency that engages more than five million Americans in service through its AmeriCorps, Senior Corps, Social Innovation Fund, and Volunteer Generation Fund programs, and leads President’s national call to service initiative, United We Serve. For more information, visit NationalService.gov.